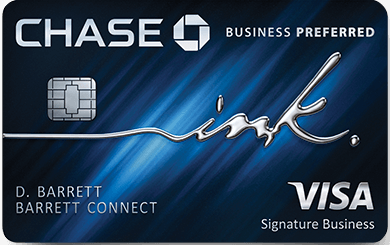 A couple of weeks ago Chase announced a new 60k welcome offer on their Chase Sapphire Preferred. While public applications were continuing to offer this without a waived fee, you could still refer people to a 50k offer with a waived first year annual fee. I advised against this pointing to the valuation of 10k Ultimate Rewards being worth more than $95. Shortly thereafter, Chase changed their referrals to match the public offer and now they’ve done one better. Chase has increased their referral bonuses for current Chase Sapphire Preferred cardholders in both per card referrals and yearly max. You can now earn 15k Ultimate Rewards when you refer a friend which is up from a previous 10k per friend. The yearly max has also increased from 50k to 75k. Note referrals are only paid after card approval. Here is my link if you’d like to support us, but please feel free to leave your referral links as well. Chase has been sending on 1099’s effectively valuing Ultimate Rewards at a penny a piece. This would affect your taxes so keep that in mind and consult a professional if you’d like more advice. I love the referral bonuses, but then again I’m a crazy travel blogger who will fly halfway around the world for a weekend. Those extra points help me do what I love, and I realize other people may not find the same value as I do and want to avoid any extra taxes. To each their own, but by my way of looking at things, I’m far more inclined to keep a card long term if I can earn additional points via referral and continue to reap the built in benefits of the card. The feature image is from the Carmelo Resort and Spa in Uruguay’s Wine country. My buddy and I both made use of Chase’s transfer partner, Hyatt, to stay in this wonderful resort where the standard room is a bungalow.